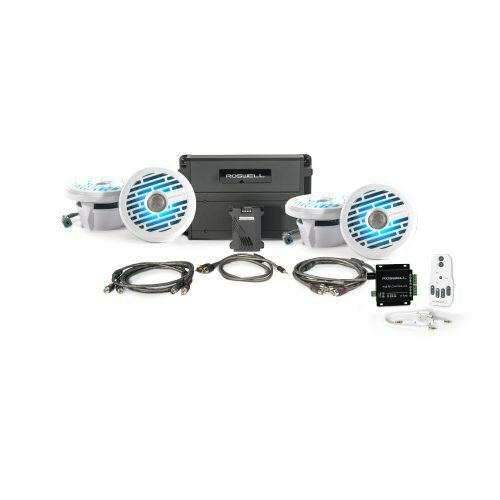 Knoxville, TN based Roswell dealer and marine audio install specialist AquaKnox Marine has created a model for success with a gift for taking each customer’s experience on the water far beyond the sale. A personal passion for what it truly means to embrace the excitement of every moment spent on and behind the boat takes them the extra in mile delivering the best service and product options for every person that comes through the door. At Roswell, we begin the design of each product with this experience in mind and have been excited to grow along with AquaKnox in making dreams a reality for their customers. How did it all begin for AquaKnox? AquaKnox started about 10 years ago as an expansion into the marine sales and service business from our marina on Norris Lake. We steadily grew over the past decade into one of the largest dealers in the Greater Knoxville Area. What can customers expect when they walk into AquaKnox for the first time? Our goal is not overly complicated but it seems to be working. We want to be, “a pleasure to work with.” Hopefully our customers look forward to buying a boat, scheduling service, or discussing a custom audio upgrade. We want people to look forward to the experience. Boats are 100% discretionary income and if we don’t make the lifestyle fun we lose. How long have you been a Roswell Dealer? How has carrying Roswell products made a difference at your dealership? The partnership with Roswell has made a huge difference in our ability to make people excited about their boat. From new boat deliveries to freshening up the 15 year old family boat, Roswell gives us the opportunity to give them something to be pumped about. From Monday through Friday, we text more photos of new speaker/ audio installs than we do of new boats. Elevating the audio experience on the water is always a great investment. Of the boats that have gotten the full Roswell treatment at AquaKnox over the years, which has been your favorite? We setup a 2013 Wakesetter with 4 Neptunes and it is without a doubt the best marine audio install we have ever heard. That was a project we were all very excited about. How did the Roswell Tiki Bar come about? We got that idea from David Parker at Parker Business Planning. He is a legend who has advised many of America’s best dealers. We had beautiful offices on the second story of our marina but very little foot traffic. David dreamed up the tiki hut and the rest is history. We have now abandoned our offices and air conditioning for the tiki and love every minute of it. Where do you recommend starting for customers that want to take their boat to the next level? Find a trusted marine dealer with great reviews and references. I think the next step starts with the conversations you have with the technicians and service manager who can discuss your priorities and goals with your boat. Every install seems like it has a little something different and that is part of the excitement. I have also never seen anyone disappointed in a well-tuned sub even if they think they don’t want bass it makes an incredible difference in sound quality. What are your favorite features about the Roswell R1 Audio line? STYLE! We have been waiting for this line for a little while and I think Roswell hit it out of the park. It provides an incredible authentic, sporty look but a distinctly tamed appeal so we can install in anything from an inboard to a pontoon. As a premier Roswell product, it of course has the quality to back it up. Aquaknoxmarine.com or the tiki hut at Shanghai Resort on beautiful Norris Lake 7 days a week all summer.